Long long ago, I went to New Orleans with a man I had planned to marry who lived far far away in a land called Arkansas. It was here, when he was being a big wet blanket on me and my best friends fun day, that I started to realize we weren't as great a match as I thought. If you can go to New Orleans and stroll down Bourbon Street and NOT get caught up in the festive beauty and fun, why on earth would you go?!?! 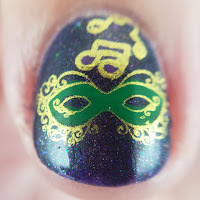 Bourbon Street Stroll really captured all that for me. 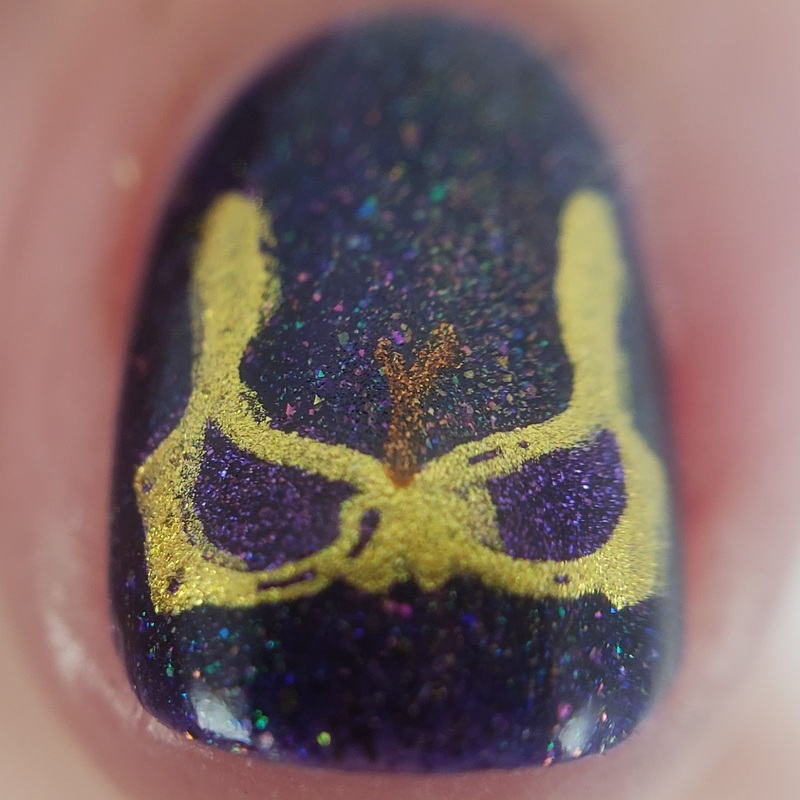 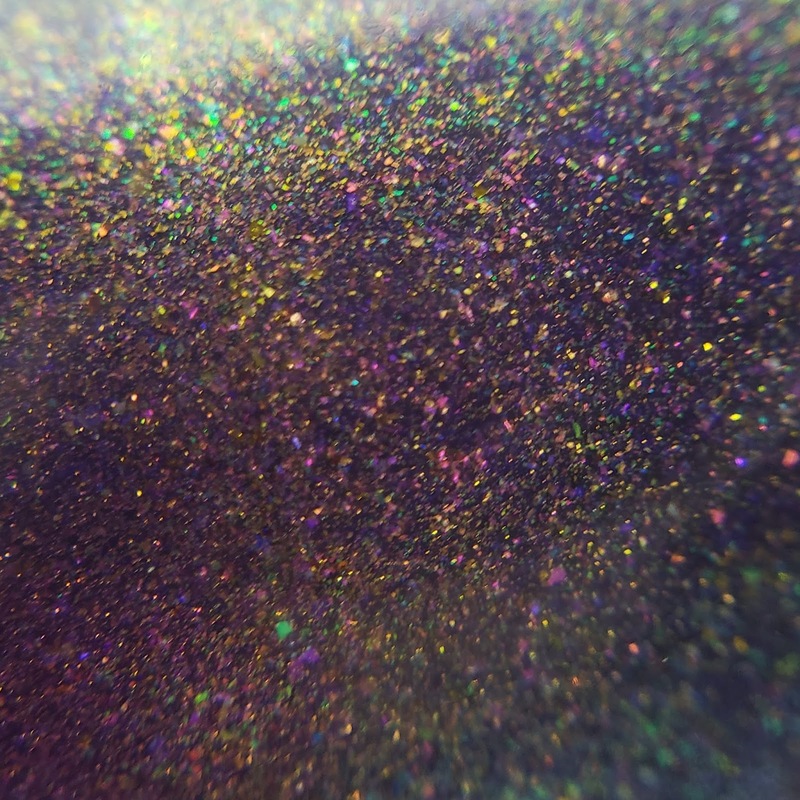 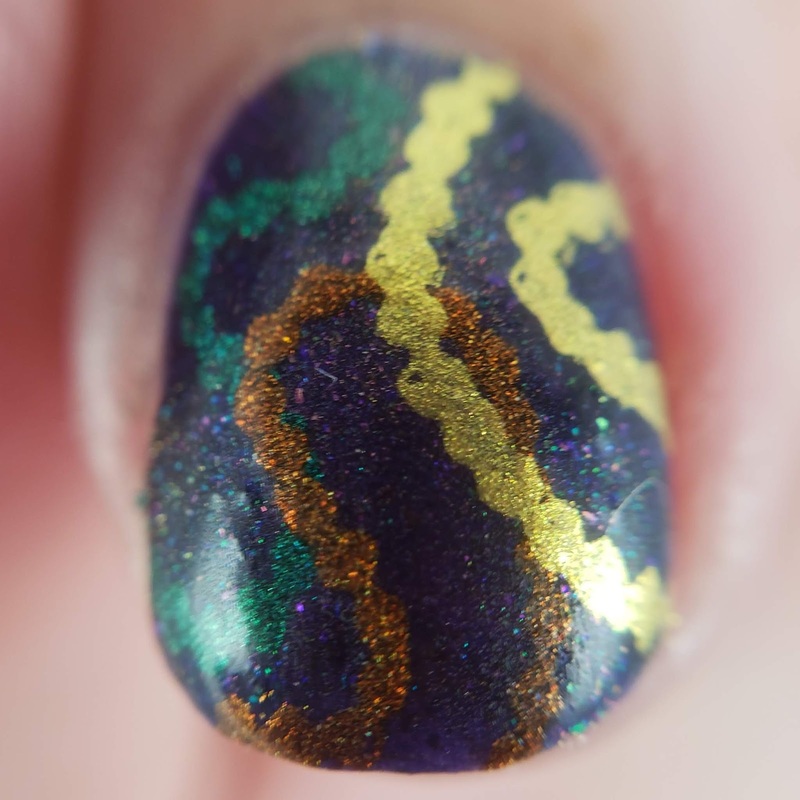 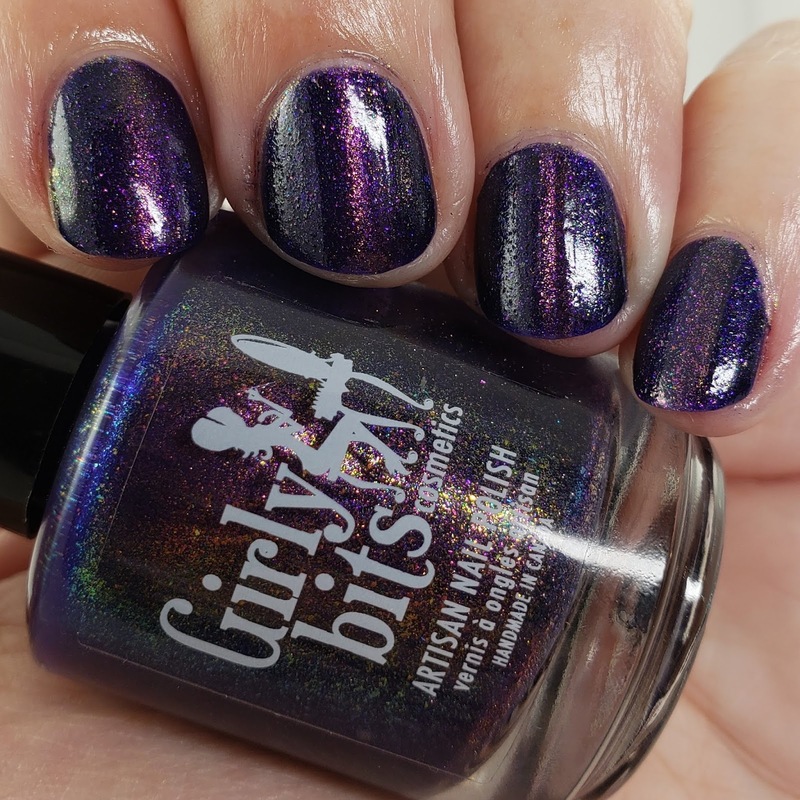 It is a gorgeous deep purple with green purple shimmer and a golden magnetic pull. I am still unlocking the tricks to perfecting a magnetic polish finish, so I did my best to make a line. In the macro you can see the gold metal flakes pulled to the center. 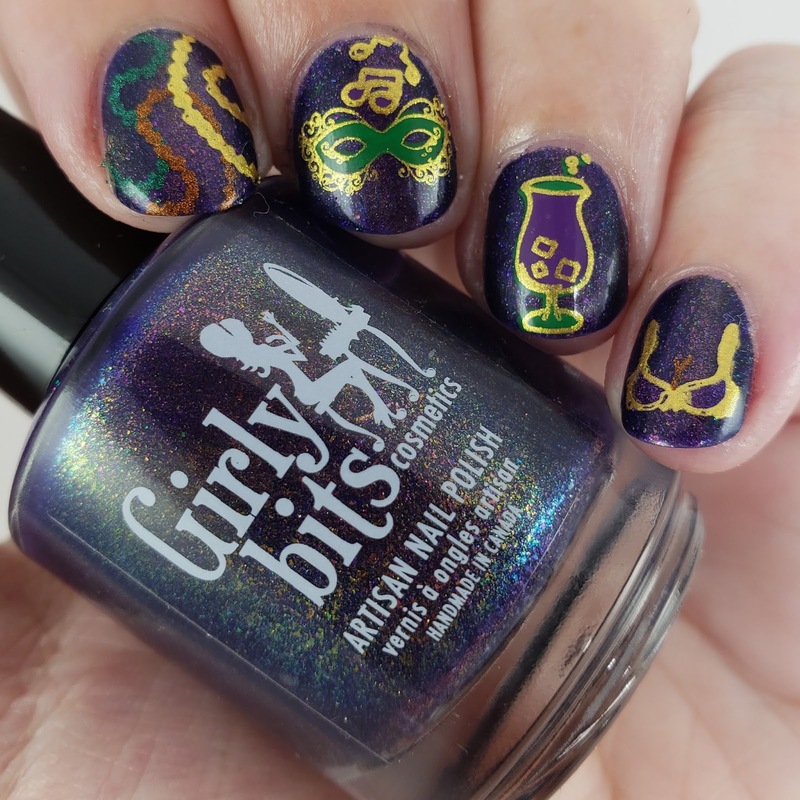 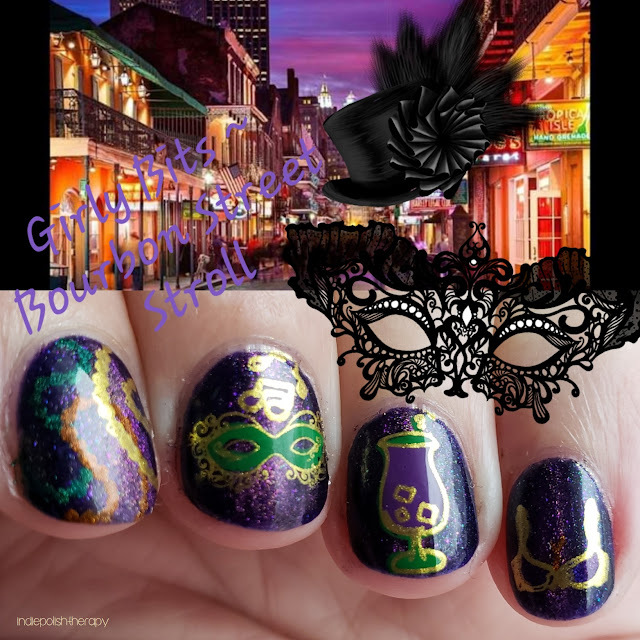 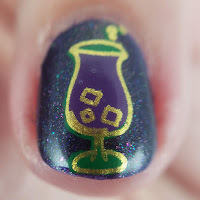 Of course anything New Orleans themed immediately makes me think of Mardi Gras, so I tried to choose some images for the nail art that were along those lines!